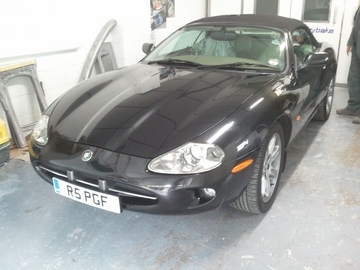 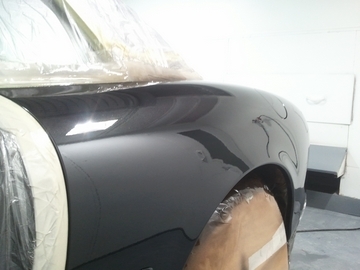 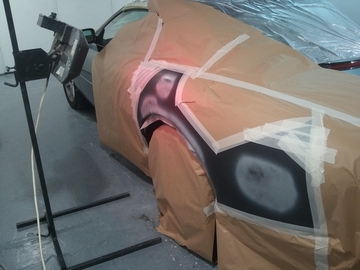 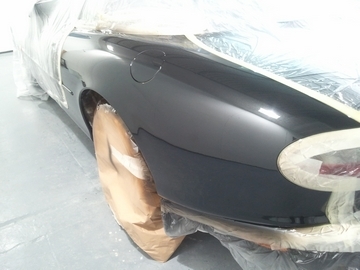 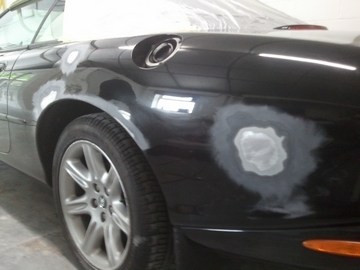 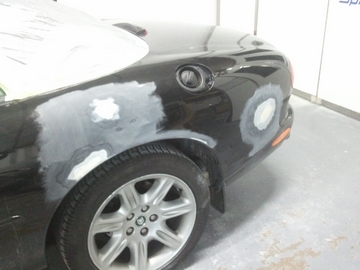 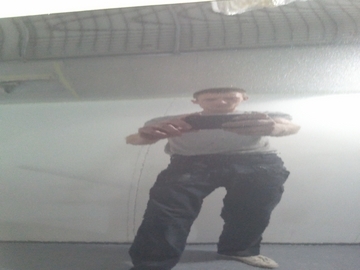 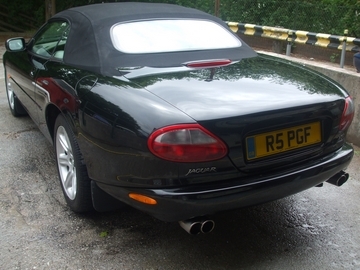 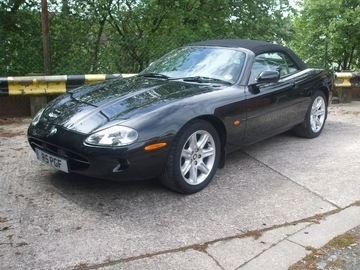 Here is a Jag we have carried out repairs, colour matching and paint work on. 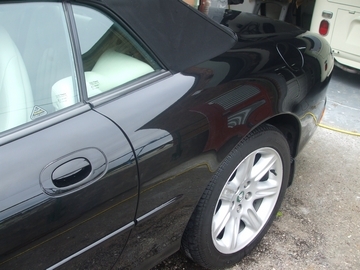 There were a few dents on the n/s quater panel and a scratch around the wheel arch edge. 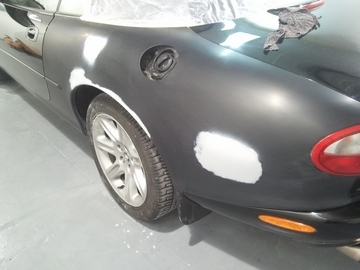 As for the colour it is a Pearl black which proved to be fun, but we matched it with a latest spectrometer and blended it perfectly.